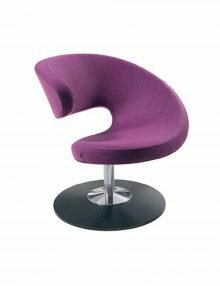 WE SELL THE COMPLETE RANGE OF BALANS CHAIRS. PLEASE CONTACT US IF YOU CANNOT SEE THE CHAIR YOU REQUIRE. Probably the closest you'll ever get to zero gravity. GravityTM balans® is a highly unusual piece of furniture. It's a timeless classic and offers you an almost weightless feeling while seated. It provides the ultimate in comfort and is relaxing for the mind, spirit and body. 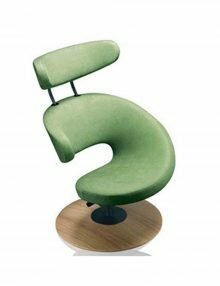 The structure of the chair has been inﬂuenced by the shape and function of a falling orange peel. Its purpose is to protect its contents, to embrace them and care for them. PeelTM is elegant and comfortable and offers a high degree of well-being. 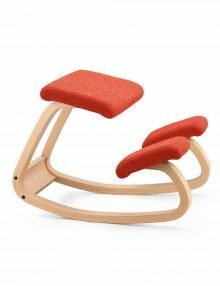 The chair is ﬂexible and follows your body's movements. A double spring system allows smooth shifting between positions for perfect relaxation. PeelTM has 360° rotation and three distinct positions for sitting and resting. PeelTM is ﬂexible and follows your body's movements. With just a simple shift of your body weight, you can move into the next position. 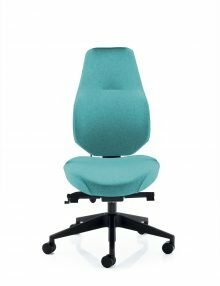 As PeelTM has a ﬁxed angle between the seat and the backrest, the chair will support your body properly, independent of your sitting position. 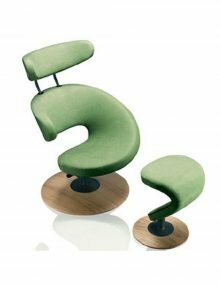 An elegant footrest is designed to make it easy to remain comfortable in the chair. Individual adjustment according to weight. The new and patent pending movement system lets you adjust the resistance in accordance with the body weight, thereby supplying ultimate comfort for everyone! Beech wood natural lacquered as standard other wood colours available. (Please call for full range of colours). Where as some design chairs are made to be looked at, PEEL CLUB is living design. It is designed for life – your life and your lifestyle. 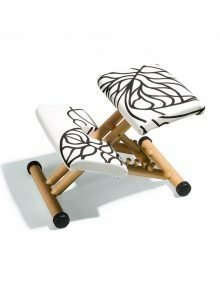 Its timeless beautiful organic shape invites you to take a break and to vary your sitting position while lounging, reading, watching, talking, listening, daydreaming or just relaxing. With PEEL CLUB sitting becomes an enjoyable encounter because it instantly makes you feel at home. A pleasurable experience for the body. PEEL CLUB makes a clear statement for a new art of seating – where design meets comfort. Seating that suits you and your lifestyle. PeelTM has 360° rotation and three distinct positions for sitting and resting. PeelTM is ﬂexible and follows your body's movements. With just a simple shift of your body weight, you can move into the next position. 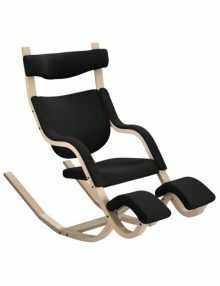 As PeelTM has a ﬁxed angle between the seat and the backrest, the chair will support your body properly, independent of your sitting position. An elegant footrest is designed to make it easy to remain comfortable in the chair. Individual adjustment according to weight. The new and patent pending movement system lets you adjust the resistance in accordance with the body weight, thereby supplying ultimate comfort for everyone! 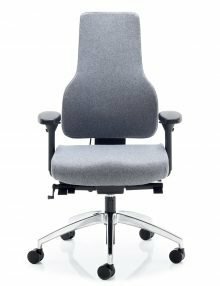 MultiTM balans® is an all-round chair with an adjustable sitting angle. The chair can be used at high or low tables. It is collapsible and is easy to move from one room to another. The sitting angle (the distance between thigh and torso) can be regulated from very open to closed. Sitting positions with a natural open angle reduces the strain on the back and makes breathing easier. The result is a feeling of well-being whilst seated. Sit in the natural way with your spine in the same posture as when walking or standing. Other upholstery colours available on request. When you sit on a Thatsit™ balans® you’ll use the wooden runners to distribute your body weight. This automatically straightens up and balances the spine properly over the pelvis. 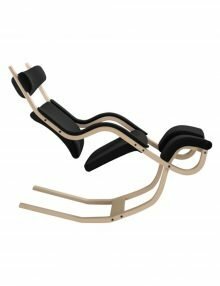 Using the shape of the runners the body weight will regulate the position of the chair and the knee pads will prevent the body from sliding forwards. Movement and variation. Thatsit™ balans® offers a variety of different sitting positions to move between. All of which are stress free for the body. 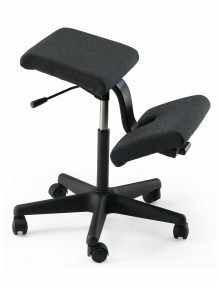 The optional backrest is adjustable in both height and depth. The leg cushions are also height adjustable. The backrest can also be used as support for the chest when sitting the other way around. The leg cushions also function as support for the feet. Beech wood natural lacquered as standard, other wood colours available. Please call for full range of colours available. 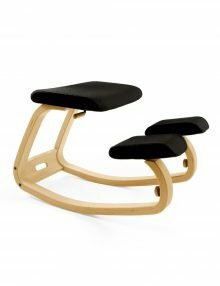 This unique sitting concept allows an open angle between your thigh and the upper part of your body, so it is easier to retain the natural curvature of the lumbar region. Active sitting allows a free flow of energy so you can pay full attention to your homework or studies. The chair is especially good when you have activities on the table in front of you, offering more comfort than traditional chairs. When you sit on a Variable™ balans® you’ll use the wooden runners to distribute your body weight. This automatically straightens up and balances the spine properly over the pelvis. Using the shape of the runners the body weight will regulate the position of the chair and the knee pads will prevent the body from sliding forwards. Tilting seat sitting position with a natural open angle between thigh and torso makes breathing easier and promotes a feeling of well being. 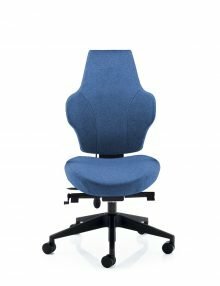 Wing™ balans® is an unconventional working chair with wheels, swivel and tilt functions, and is optimal for work at high or height adjustable tables e.g. drawing tables. The chair encourages a variety of sitting positions. Adjustable gas lift makes it suited to a range of activities and different table heights. 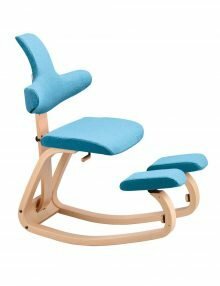 The angled seat in combination with the leg cushion let you sit upright with the backbone in a natural position. 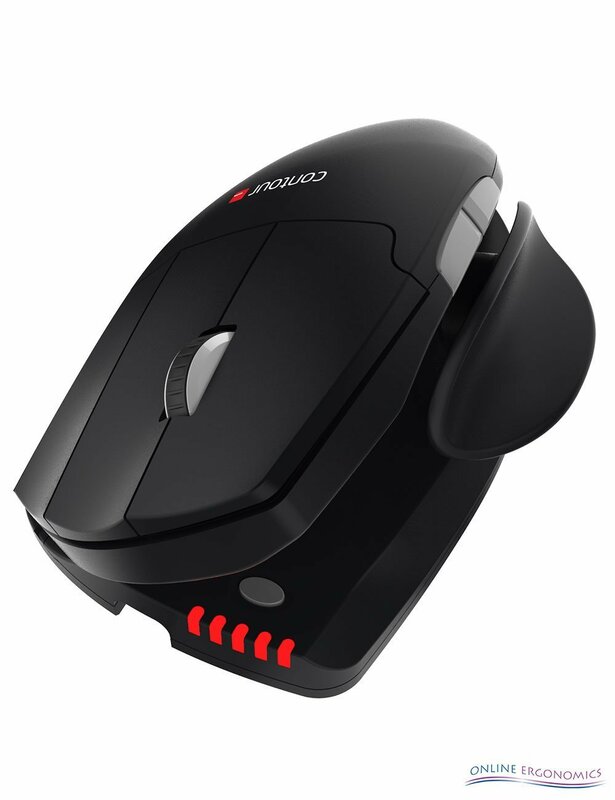 The shoulders and neck are relieved and you are sitting comfortably and can concentrate on your activity.